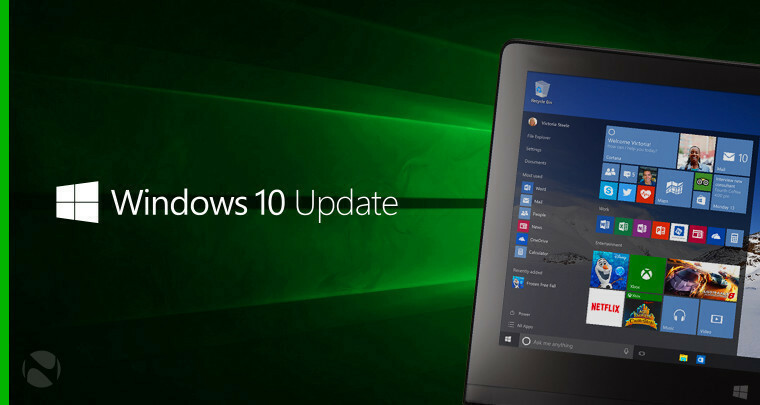 Today is the second Tuesday of the month, which means that it's time for Microsoft to release updates for all supported versions of Windows 10. And by all supported versions, that means everything except version 1511, which hasn't received an update since April. Addresses an issue that prevents apps from receiving mesh updates after resuming. This issue occurs for apps that use Spatial Mapping mesh data and participate in the Sleep or Resume cycle. Ensures that Internet Explorer and Microsoft Edge support the preload="none" tag. Addresses an issue that prevents some applications running on HoloLens, such as Remote Assistance, from authenticating after upgrading from Windows 10, version 1607, to Windows 10, version 1803. Addresses an issue that significantly reduced battery life after upgrading to Windows 10, version 1803. Addresses an issue that causes Device Guard to block some ieframe.dll class IDs after installing the May 2018 Cumulative Update. Addresses a vulnerability related to the Export-Modulemember() function when used with a wildcard (*) and a dot-sourcing script. After installing this update, existing modules on devices that have Device Guard enabled will intentionally fail. The exception error is “This module uses the dot-source operator while exporting functions using wildcard characters, and this is disallowed when the system is under application verification enforcement.” For more information, see https://portal.msrc.microsoft.com/en-US/security-guidance/advisory/CVE-2018-8200 and https://aka.ms/PSModuleFunctionExport. Security updates to Windows Server. Updates support for the draft version of the Token Binding protocol v0.16. Addresses an issue that causes Device Guard to block some ieframe.dll class IDs after the May 2018 Cumulative Update is installed. Addresses an issue that displays “AzureAD” as the default domain on the sign-in screen after installing the July 24, 2018 update on a Hybrid Azure AD-joined machine. As a result, users may fail to sign in in Hybrid Azure AD-joined scenarios when users provide only their username and password. Addresses an issue that adds additional spaces to content that's copied from Internet Explorer to other apps. Addresses a vulnerability related to the Export-Modulemember() function when used with a wildcard (*) and a dot-sourcing script. After installing this update, existing modules on devices that have Device Guard enabled will intentionally fail. The exception error is “This module uses the dot-source operator while exporting functions using wildcard characters, and this is disallowed when the system is under application verification enforcement”. For more information, see https://portal.msrc.microsoft.com/en-US/security-guidance/advisory/CVE-2018-8200 and https://aka.ms/PSModuleFunctionExport. Some non-English platforms may display the following string in English instead of the localized language: ”Reading scheduled jobs from file is not supported in this language mode.” This error appears when you try to read the scheduled jobs you've created and Device Guard is enabled Microsoft is working on a resolution and will provide an update in an upcoming release. Addresses an issue that causes Internet Explorer to stop working for certain websites. There are no known issues with this update. Addresses an issue that prevents users from unlocking their computer if their password has expired. This issue occurs when fast user switching has been disabled and the user has locked the computer. Addresses an issue in which decrypted data fails to clear from memory, in some cases, after a CAPI decryption operation was completed. There's one known issue with this update, which is the same as the update for version 1703. As always, you don't actually have to install these updates manually. You can just let Windows Update install them automatically.